WATCH: Becky Lynch attacks Stephanie McMahon! 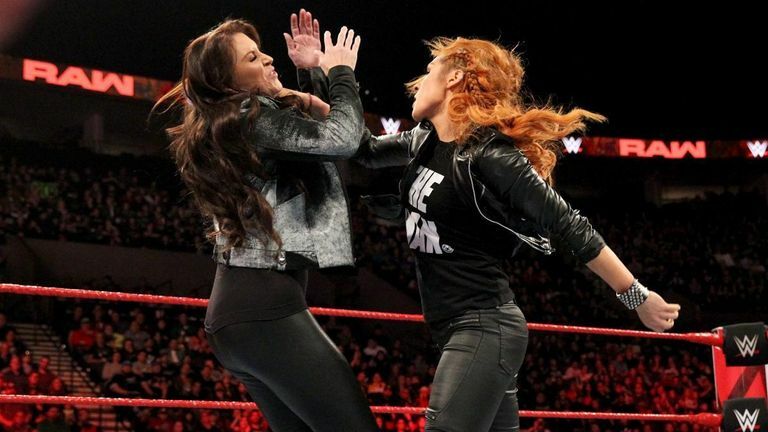 Becky Lynch allowed her frustration to get the better of her on Raw - and attacked WWE boss Stephanie McMahon. Lynch is concerned her knee injury will deprive her of what is a well-earned and fully-merited WrestleMania match against Raw women's champion Ronda Rousey. McMahon wants her to get it checked out by WWE medical staff - and that understanding of corporate responsibility for the wellbeing of employees should be applauded. But therein lies the problem; the pair cannot get on the same page over this issue, which has major significance for the biggest show of the year. It was an impasse out of which Lynch could see only one way, and that involved violently assaulting McMahon. 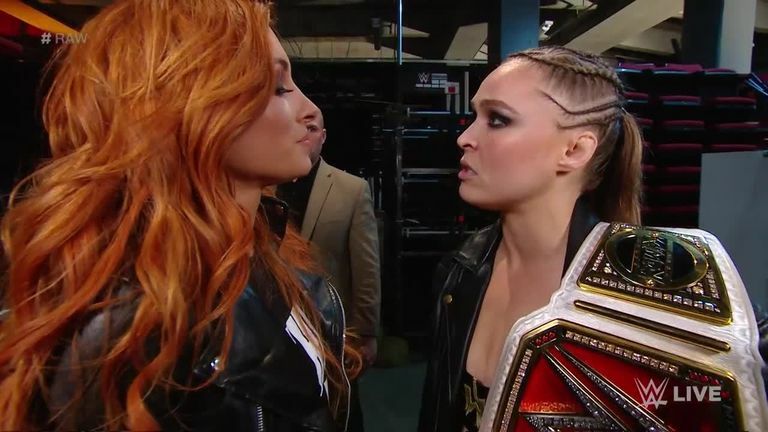 The Lass Kicker wanted to live up to her name but was suspended before she starting kicking this particularly powerful lass and that punishment could be extended even further now. Click on the video above to check out the moment Lynch lost it, and don't forget to catch the full repeat of Raw every Tuesday on Sky Sports Arena at 9pm.